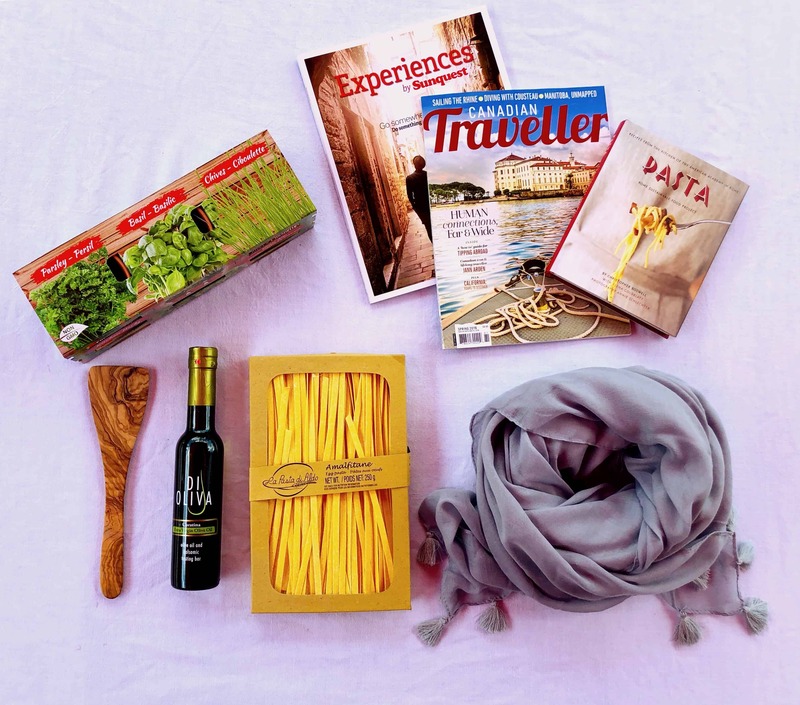 It starts with the ya-mon-no-problem mantra of the island’s people and carries through to the luxurious all-inclusive resorts that dot its white sand shores. Dunn’s River Falls near Ocho Rios offers an exhilarating one-kilometer climb up gently-sloped waterfalls and river pools. It’s Jamaica’s No. 1 tourist attraction for good reason. It’s just so cool (literally and figuratively) to hike up a waterfall. The path is so well travelled that foot and hand holds have been worn into the underwater rocks over time. Jamaica Tourist BoardFor the week our group toured Jamaica the sun shone constantly; we stayed at amazing resorts; swam with dolphins and sharks; went river rafting; golfed; went horseback riding and waterskiing; jumped off cliffs, explored caves; ate; drank; and relaxed by pools and on beaches. In other words, we experienced the perfect winter vacation. Jamaica is most famous for reggae music (read: Bob Marley), rum, ganja (read: marijuana), its unlikely bobsled team and ya-mon-no-problem vernacular. 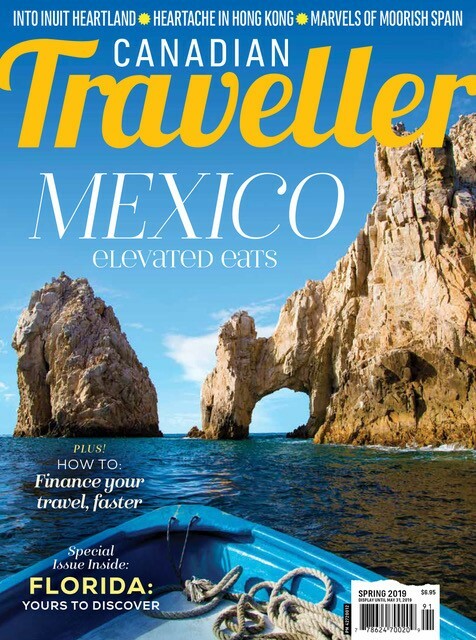 However, it also has a highly developed tourism industry of all-inclusive resorts and attractions. Like many tropical destinations in developing countries most of the highways run parallel to the shore and the luxury resorts are on the ocean side and ramshackle homes, farms, stores and bars are on the other side. If you stay at a super all-inclusive resort like Sandals Whitehouse on the south shore you get five star accommodations, all meals and drinks as well as extras such as golf, waterskiing and options to dine in a la carte restaurants every night (instead of the buffet). The highlight was definitely waterskiing in the Caribbean Sea in front of the resort. I’ve waterskied on lakes in Canada, but never in wide open saltwater – what a blast. And first thing in the morning the sea is flat and calm – perfect for being towed behind a speedboat on a fibreglass plank. It’s also at Sandals’ famed Red Line Spa that I have the best massage of my life. The esthetician – a tall black man with enormous hands – gives me a sports massage that at times borders on painful, but, wow, does it ever melt away the stress and soothe those muscles used during waterskiing. At The Cliffs at West End Negril only the brave (or foolish) in our group, including me, jumped off a 15-metre sheer elevation into the crystal clear ocean below. It’s free, but you have to get through a lifeguard to jump and they like to be tipped. Rick’s Café, a famous bar, restaurant and gift shop, is located here to cater to the hordes of tourists that come to jump and watch. The Jamaican experts scrabble up to a higher cliff and climb a tree to jump from a platform at 27 metres. They, too, solicit tips before showing off. 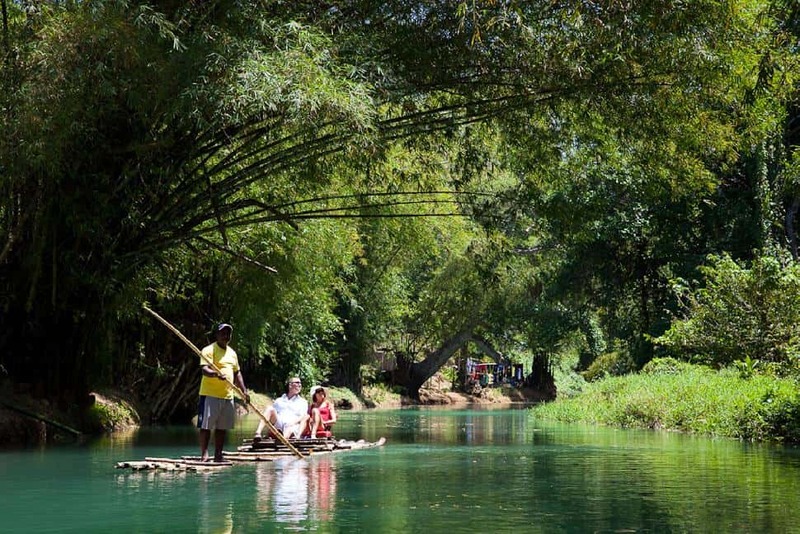 Jamaica Tourist BoardRafter’s Village on the Martha Brae River offers a five-kilometre ride down the waterway on a nine-metre-long bamboo raft. You sit back, relax and remain dry while your guide pole drives the raft. Near Ocho Rios, Green Grotto Caves is a network of underground tunnels and lakes that have been used as slave hideout, rum storage and now tourist attraction, while Dolphin Cove has traditional swim-with-the-dolphins programs as well as the world’s second swim-with-the-sharks option. The fact that nurse sharks are used takes some of the fear out of it because nurse is a pretty innocuous name for a supposedly fierce creature. Nurse sharks are bottom feeders that have an appetite for worms, clams and squid, not human flesh. They get their name from the sucking or nursing-baby sound they make while bottom feeding. “Swimming with sharks is all about fear and discovery,” says shark trainer Eric Eogden, who developed the program for both Dolphin Cove and a park in the Dominican Republic. “People overcome their fear of sharks and discover that they are pretty cool.” Eogden has overseen 14,000 people in swim-with-shark encounters with no problems. Dolphin Cove also has interactive parrot, iguana and snake exhibits, pirate show and zipcording. 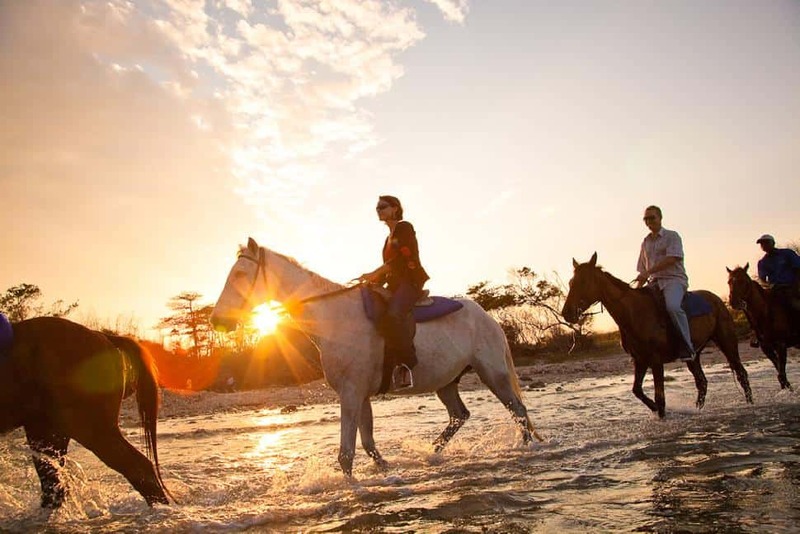 Jamaica Tourist BoardProspect Plantation, a 363-hectare lime and allspice farm also near Ocho Rios, is the place to go horseback riding. 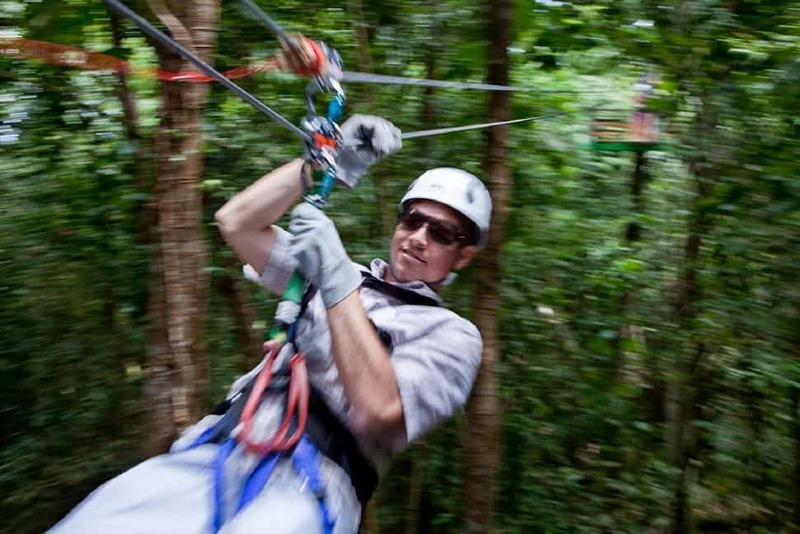 The two-hour route offers up spectacular views of the White River Gorge and the Caribbean Sea. 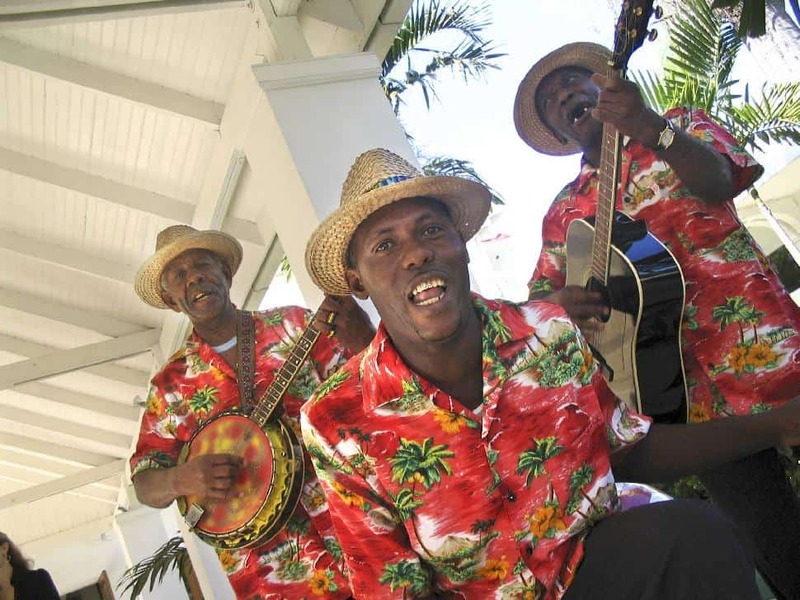 Pineapple Place Craft Market near Ocho Rios is a great place to pick up cheap souvenirs from shirts and picture frames to Blue Mountain coffee and Jamaican jerk barbecue sauce. Expect aggressive vendors and don’t pay anymore than half of the initial price they suggest. Both American and Jamaican dollars are accepted everywhere on the island. That means you should change your loonies into either for your trip. You’ll get about $87 Jamaican for $1 Canadian. That also means you’ll have to get used to using the local currency and encountering prices such as $135 for a bottle of water and $1,040 for a t-shirt. If you do take American dollars you'll get any change in Jamaican.